I know from my experience how hard going out without your eyeglasses. I usually take mine off when I am just at home. It was two years ago when I got my eyes checked, and eyeglasses. It cost us a fortune. Wearing eyeglasses has become part of my life. I have come to realize I am not going to spend a tremendous amount of money just to see everything clearly when it comes to getting a new one. 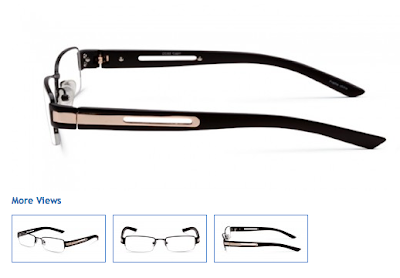 During this period of my life I never thought about buying an eyeglasses online, just as I had never thought about losing my sight. Every decision is yours to make. If you are looking for something that won't cost you so much, GlassesUSA.com has different sorts of glasses that you can try. They have lots of options. You can easily find the shape of the frame that fits you, the frame material (metal, plastic, and titanium) sizes, color, measurements and etc. Very convenient indeed. Now, I found these cool (virtual mirror). If you are planning to get a new glasses, I'd like you to try it and maybe you can pick which one that suits you best. If you are looking for a certain brand, they also have that. Don't forget to check out their prescription glasses, Sales and Coupons for best deals. 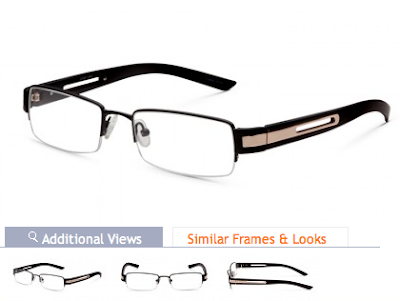 Discounts for my readers; take 10% off any order of prescription glasses. Use the code: Blog10. For more GlassesUSA happenings, get updated with their Facebook and Twitter page. I found you through the hump day blog hop, and I can't believe the coincidence that I ALSO posted about discount eyeglasses today. It truly is a small world!